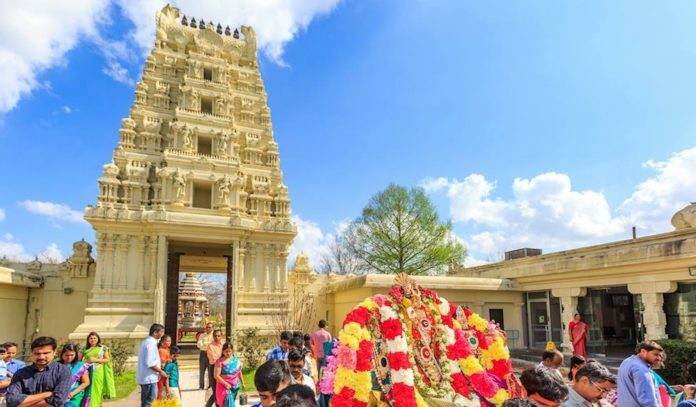 Discover a beautiful hidden gem in South Houston that hosts cultural events year-round at the Sri Meenakshi Temple in Pearland. Completed in 1982, this large, snow-white Hindu temple is open to the public for visitors looking to take in the beautiful temple grounds and interior buildings. Located in the heart of Pearland on a 23-acre tract of land, the Sri Meenakshi Temple is modeled closely after the historic Meenakshi temple in Madurai, India and features intricate carvings inside of its main temple, priests quarters, youth center, library, visitors center, and exteriors, too. Visitors looking to do more than check out the temple grounds will find events including various lectures and workshops, a vast library worth exploring, and a vegetarian cafeteria to boot. Click here for info on current and upcoming events. Hours: Monday to Thursday 8:30am to noon and 5pm to 8:30pm; Friday 8:30am to noon and 5pm to 9pm; Saturday and Sunday 8:30am to 8:30pm.